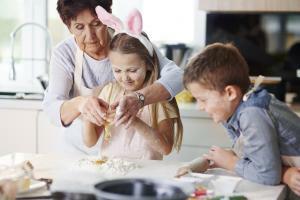 This Easter, take the opportunity to spend more time with your grandkids by organizing some fun themed activities. Instead of planning the usual Easter activities, make the holiday truly special this year with new and exciting activities that will spark their curiosity and appeal to their sense of adventure. 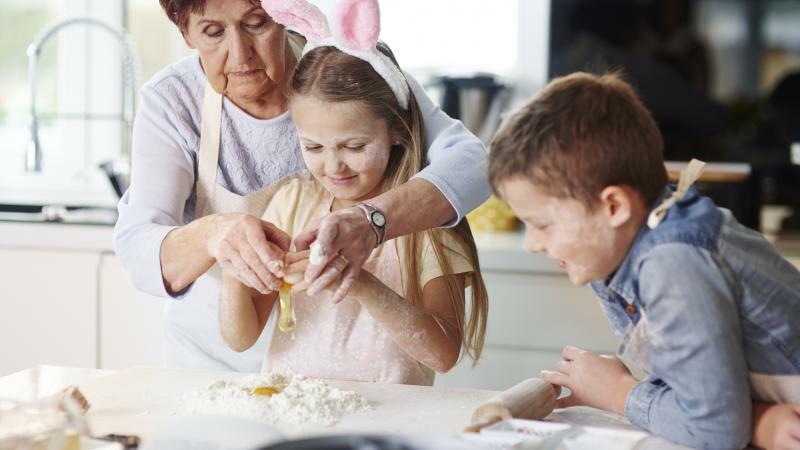 Here are a few ways you can get your grandkids involved in the Easter festivities with tons of intergenerational fun. One of the most beloved Easter traditions is dyeing eggs. There are tons of kits available that can be used to create a rainbow of different hues. 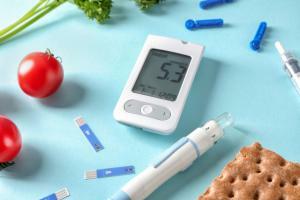 You can opt for those traditional kits or explore the world of egg decorating. There are plenty of egg decorating techniques you can try out with your grandkids. Dip-dyeing eggs is fun, but you can change it up this year by using an untraditional medium like nail polish, crayons, or even gold leaf. Easter baskets are a lovely traditional gift that’s been enjoyed by generations of children. Purchasing a beautiful gift basket for your grandkids is always a fun treat, but why not turn the traditional Easter basket into a fun activity? You can get your grandchildren more involved by gifting them a basket and craft supplies to decorate that basket. Or, you can fill the basket with different crafty projects to work on together. Whatever you choose, make sure you’re on hand to supervise and praise their creativity and ingenuity. Easter egg hunts are a longtime Easter tradition, but there’s a secret to doing them well. Every year, the hunt should “grow up” with the children. If the search for eggs doesn’t match their developmental level, they’ll lose interest when it’s either too hard or too easy. Switch it up to suit your grandchildren by expanding to a wider area or filling eggs with something unique, like numbers that correspond to larger prizes. Another fun idea that may appeal to older children is a spooky, after-dark egg hunt. You can use regular eggs and equip your grandkids with flashlights, or fill plastic eggs with glow-in-the-dark necklaces and bracelets that they can spot in the dark. Another great activity that can work alongside an Easter egg hunt is an Easter-themed scavenger hunt. This works well if you have a wide age range, as little kids can focus on finding eggs while the older children put their energy towards finding clues that will lead them towards bigger prizes. There are plenty of fun printables you can find online that provide clues, or you can write your own referencing family members and specific elements of your home. You can also add in random rewards and smaller prizes to keep the kids interested throughout the hunt. Many families host Easter meals and parties every year. If you’re hosting this year but want to be able to spend some quality time with your grandkids, invite them to help you with some of the cooking or baking. Cooking and baking can be fun for kids of all ages – even really young kids can help out in the kitchen, and getting them involved will teach them invaluable culinary skills while you spend quality time together. You can focus on easier recipes like sugar cookies or quick dips that don’t require too many ingredients while working with your grandchildren. And don’t forget to give them a taste as a reward for all their hard work at the end. There’s a reason rabbits are associated with Easter: spring is prime bunny time, and it’s your chance to see rabbits and their babies in the wild. For a unique Easter activity, take your grandkids on a nature walk and search for rabbits. It’s an opportunity to see the Easter bunny in the wild! There are different species of rabbits and hares in almost every part of the United States, so no matter where you’re located, you have a good chance of spotting a furry friend. Depending on where you live, you may also be able to pick flowers or spot some interesting birds. In many parts of the United States, Easter weekend is one of the first times in months that it’s warm enough to head outside. Encourage your grandkids to take advantage of the spring weather by organizing an afternoon of outdoor games. For older kids, a game of road hockey or soccer might be a fun diversion. Younger kids benefit from a bit more structure and guidance, so you can organize a few different games like egg bowling, Easter-themed charades, or pin the tail on the bunny, and see what piques their interest. Chocolate and candy are some of the most popular Easter treats – so why not give your grandchildren the opportunity to see their favorite candies in an entirely new way? This year, skip the chocolate Easter bunny and take your grandkids to see chocolate being made. There are tons of stores and attractions that offer this activity around the country. Stores like Rocky Mountain Chocolate Factory make different delicious confections in store, and large chocolate manufacturers often host tours and tastings at their factories. You can also arrange for a private demo at a smaller chocolate store, museum, or cooking school. Kids will love seeing how their favorite treat is made, and you’ll be able to spend time learning together. This is a great activity for little gardeners or children who are new to the hobby. You and your grandchildren can put the leftover Easter eggs to use by creating a garden out of egg shells. To get your garden started, help them carefully blow out the egg from the shell, then set them in an egg carton. With some packets of seeds and a bag of soil, help them carefully plant a single seed into each eggshell. The soil-filled eggshell is a great place to sprout little seedlings, which can easily be transplanted straight into an outdoor or indoor garden once the sprouts are tall enough. Give your grandkids the opportunity to shower their friends and family with love by helping them make their very own Easter cards. All you need to provide is the encouragement and some craft supplies. For babies or toddlers, there are plenty of adorable crafts you can make using your grandkid’s hand or footprint, which can be gifted to their parents or other relatives. Older kids will relish the opportunity to get more creative, making more advanced cards or drawing their own images. Giving out cards that they’ve made with their own hands makes kids feel more involved in the holiday.